Storyline: In the thick of WWII, the 1st Special Service Force unit is called to duty on a secret rescue mission. Challenged by Nazis at every turn, our band of heroes bunker in a bombed out city and race against time to relay a message that is crucial to the Allies invasion of Sicily. Cornered and caught between a rock and a hard place, they only have one option: fire more bullets! 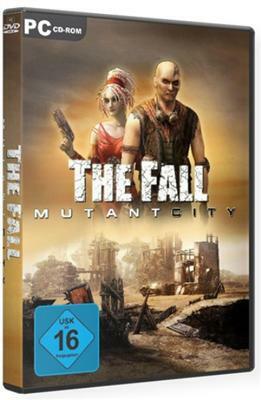 The Fall Mutant City is the continuation of which was published and won the hearts of many Fall: Last Days of Gaia. Immerse yourself in a threatening atmosphere The Fall and join in the struggle for existence in a world run by money and weapons. Excellent visual effects, a captivating story, as well as the unique atmosphere of The Fall Mutant City will help to fully immerse yourself in an unforgettable adventure! Souder, a homicide detective in a small Texan town, and his partner, transplanted New York City cop Detective Heigh, track a sadistic serial killer dumping his victims mutilated bodies in a nearby marsh locals call The Killing Fields . Though the swampland crime scenes are outside their jurisdiction, Detective Heigh is unable to turn his back on solving the gruesome murders. Despite his partner s warnings, he sets out to investigate the crimes. Before long, the killer changes the game and begins hunting the detectives, teasing them with possible clues at the crime scenes while always remaining one step ahead. When familiar local girl Anne goes missing, the detectives find themselves racing against time to catch the killer and save the young girl s life.